As the Liberal Democrats congregated in Bournemouth last week for their annual conference, their publicity people decided to release a party political broadcast celebrating the freshness, vibrancy and relevance of their leader, Vince Cable. Entitled “Strong and Cable” (geddit?) the 4.40 minute long advertisement is ostensibly a satire on the perceived vacuity and mindlessness of advertising agencies. It features a hapless group of 20 somethings sitting around an office trying to think up a campaign strategy for Cable, of whom they have clearly not heard. They are joined by “Rach”, a party member, who helpfully fills the gaps in their knowledge. After a day’s deliberating the only thing they can agree on is a liking for hats. At the end of the broadcast the pitch is presented to Cable himself who proclaims, “I like the hat”. He is on screen for approximately 5 seconds. 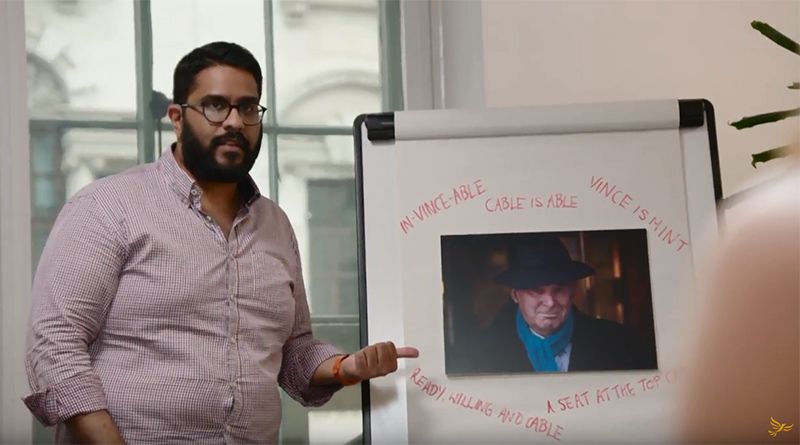 The style and tone of the film is clearly meant to mimic the savage wit of the BBC’s self reflexive mockumentary, W1A and is clearly aimed at the disaffected millennials who have apparently flocked to Jeremy Corbyn. But if this film is an attempt to win back those voters who haven’t yet forgiven the broken promises over University tuition fees then it’s surely a forlorn hope. The main error, I suspect, is in the representation of the young people in the film (with the notable exception of the lovely Rach, of course) as collectively thick and charmless. Initial reactions have been, to be very kind indeed, mixed. But does any of this matter? In the age of rolling news 24/7, YouTube and Snapchat do old style 5 minute broadcasts have any currency? The answer is yes, in a way, they do. Party political broadcasts are still the single most effective instrument that parties have in terms of unfettered contact with the voting public on television. They enable to the politicians to speak to the electorate on their own terms free from the nagging interventions of troublesome journalists and the confines of news and current affairs. But whether or not they affect voting behaviour is a separate issue. Politicians obviously calculate the benefits, but measuring the effect of an advertising election campaign in terms of the result is inconclusive, since the result of any election is based on so many factors. One result may have many possible causes. Adverts, posters and party political broadcasts can test levels of recall or the appreciation of voters. But these are campaign outputs not outcomes, they do not tell us about effects on voting. But one thing is certain. “Strong and Cable” has got people (well, some people anyway) talking about the Liberal Democrats again. Maybe that’s enough.